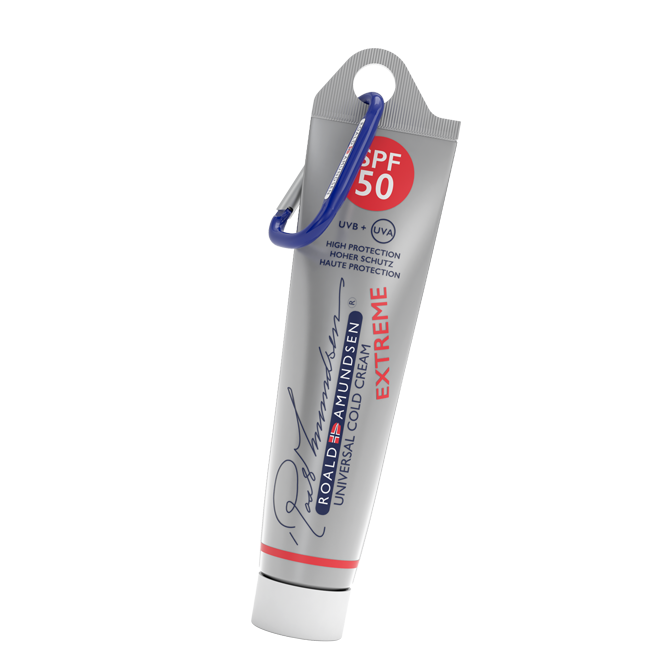 Roald Amundsen Universal Cold Cream Extreme SPF 50 is a water-free cold cream with high UVA/UVB protection. It is enriched with Beeswax, which protects the skin from environmental damages, has emollient, soothing and softening effects and helps the skin to retain moisture. 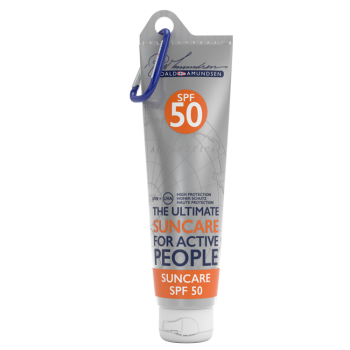 The cold cream works to prevent chapped, dry, itching and scaling skin. It is is deeply moisturizing and easily absorbed, leaving it soft and smooth. Beeswax protects the skin from environmental damages and contains powerful anti-bacterial, anti-inflammatory and antioxidant properties. It is antiseptic and wound healing. It has emollient, soothing and softening effetcs and help the skin to retain moisture. 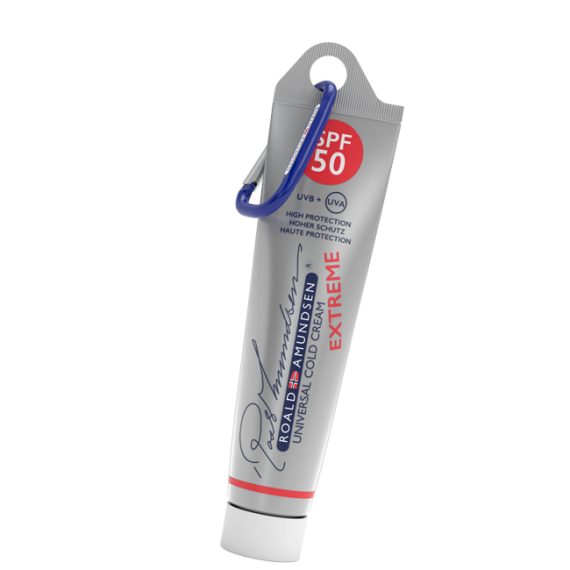 Roald Amundsen Universal Cold Cream Extreme SPF 50 is a water-free cold cream with sun protection factor 50 and high UVA/UVB protection. It is enriched with Beeswax, which protects the skin from environmental damages, has emollient, soothing and softening effects and helps the skin to retain moisture. 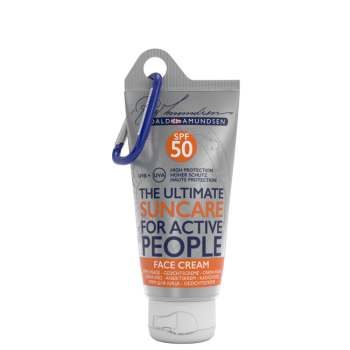 The cold cream works to prevent chapped, dry, itching and scaling skin. It is is deeply moisturizing and easily absorbed, leaving it soft and smooth. Beeswax protects the skin from environmental damages and contains powerful anti-bacterial, anti-inflammatory and antioxidant properties. It is antiseptic and wound healing. It has emollient, soothing and softening. Beeswax counteract dryness and help the skin to retain moisture. It improves skin’s elasticity. Lanolin, Ricinus Communis Seed Oil, Diethylamino Hydroxybenzoyl Hexyl Benzoate, Isoamyl p-Methoxycinnamate, Silica, Prunus Amygdalus Dulcis Oil, Cera Alba (Beeswax), Titanium Dioxide (nano), Bis-Ethylhexyloxyphenol Methoxyphenyl Triazine, Ethylhexyl Triazone, Copernicia Cerifera Cera, Tocopherol, Ascorbyl Palmitate. Suitable for anyone wishing to protect their body from harmful external factors, dryness and the effect of passing time. Apply as often as necessary on the body, the lips, the hands, the nails and the face.